Stealthy Wealth: Pay Off Bond Or Invest? getting to the front door proved difficult. I received an interesting email from one of the readers of this blog. His suggestion was for me to do a blog post discussing paying extra into your Bond each month, versus Investing the money instead. This is a dilemma which I myself have faced before, and one that has been doing it's rounds on the internet. It was also a topic which I have had on my "ToDo" list, but the email I received increased it's priority somewhat. I have been hammering my bond with all my extra cash in order to avoid paying huge interest for years to come. I am doing quite well and should be bond free within the next couple of years. The problem is I have no other investments i.e. Equities or savings. I am currently of the belief I need to obliterate the bond first and then start investing as intensively as I have been paying off the bond. There are lots of tax breaks with pumping the bond full verse equities. Please research this as a future topic and post on your blog. I look forward to reading your stealthy wealthy point of view on this contentious subject matter! The next thing I want to say is that paying off debt is always a good idea, there is no two ways about it. Paying off debt is always a good idea, there is no two ways about it. It is tax free - one of the few things in life that is! And this is why I say that paying extra into your home loan is definitely a good idea! Assuming you have a bond at prime, by paying extra, you are earning a 10.5% risk free, tax free, fee free, inflation beating and highly liquid return. Not too shabby! Paying extra into your bond gives you a risk free, tax free, fee free, inflation beating and highly liquid return. So I think we can agree that paying extra into your bond is a very good idea. But I guess the question is, is it the best idea? On the down side, Chris has identified that he has no other investments, and this is one disadvantage of throwing everything into your bond. He has ended up in a situation where he has no diversification (although I am basing this on the email, Chris may have a pension plan or similar). Also it may be possible to get a better return from some other investment classes than what you would get by paying extra into your Bond. Chris is also quite correct that this is a highly contentious issue with one camp saying home loan debt is not so bad because it is used to finance an appreciating asset, while the other camp claims that all debt is bad and should be extinguished immediately. Well here is my 2 cents on it...but before continuing you may also want to check out this nicely balanced write up on the topic by Alexander Forbes. So if you are not going to be putting your extra dosh into your Bond, what are your other options? You could go for some Government Bonds or similar (like James Bonds - wow terrible!!! ), but the Stealthy Wealth Numbers Page says your return will be less than the prime interest rate (currently 10.5%). So the home loan trumps this. The other option is equities - the returns are generally better than the prime interest rate over the longer term, so this seems like a contender. I will examine some scenarios....run for cover, here come the numbers! So in this scenario your monthly payment is R8 985. As much as I would like you all to think I calculated that in my head, I cannot claim it. Luckily for us we live in an age where the tools we need are almost always freely available, we just need to find them. For this calculation I used the handy Property 24 calculator - you can view this particular scenario by clicking here. So if we were to just go along our lives and pay the minimum, it will result in us paying off the house at the end of the 20 years. But I would like to think we are more Stealthy than that, and firstly we did not find the most expensive house we could afford, but instead bought one that suited our needs. and secondly, we tend to spend less than other people. All this results in us being able to put some extra money into our bond every month1. I will run a 20 year scenario, since that is the base case and general duration of a home loan when nothing extra is added. So you have worked out according to your budget that you have an extra R2 000 a month. You decide that you will either pay this extra R2 000 into your bond, or you will invest it in equities instead. This means that your house is now paid off in around 12 years. After that you have an extra R10 985/month to invest (you no longer have a bond payment of R8 985, and you no longer have to put the R2 000 extra in every month). So for the remainder of the 20 year period, you invest the full R10 985 into equities. So Option B seems to be the better choice by around R800k. 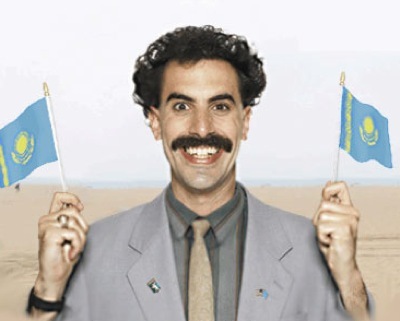 In this scenario you have your extra R2 000 a month, but in addition to this your boss decides to emigrate to Kazakstan to try find Borat, and you land his nice cushy job, resulting in you having an extra R6 000 per month despite now doing less work than you used to :-P And because you are super Stealthy, you realize that increased earnings should not equal increased expenses, and you decide the money should be put to good use. So again, your options are either pay this extra money into your bond, or invest it into equities. 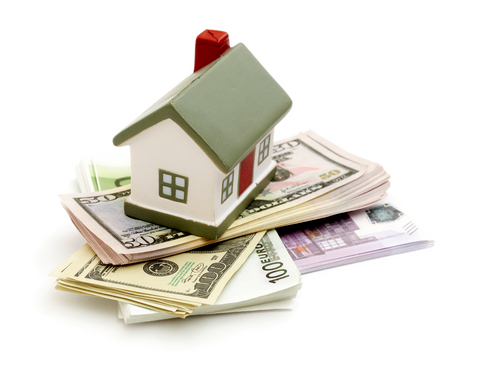 This means that your house is now paid off in just over 7 years. After that you have an extra R14 985/month to invest (you no longer have a bond payment of R8 985, and you no longer have to put the R6 000 extra in every month). 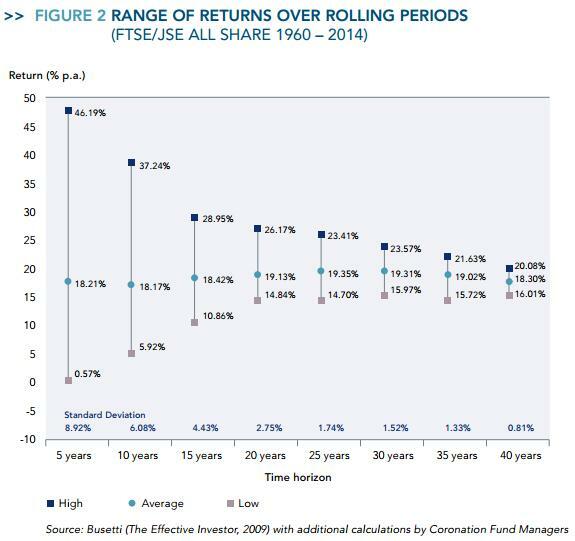 So for the remainder of the 20 year period, you invest the full R14 985 into equities. So once again Option B seems like the better choice. Investing the money is the better choice, or is it? From the chart you can see that on shorter time frames, for example over 5 years, the returns from the equity market can vary drastically - in this case from 46.19% (wowziz!) to a mere 0.57% (ouch!). However if you start looking over longer periods, the returns become a lot more "predictable" - the 15 years numbers are significantly better. But as always, the past returns are no guarantee of future performance. If the extra repayment into your Bond is going to result in you decreasing the loan time to around 15 years, then you should maybe consider putting the extra money into a low cost Equity ETF instead - because there is a good chance the returns from equities will outperform the interest rate of the Bond. If the extra repayment is going to result in you paying off your Bond in 10 years or less, then maybe the safer option would be to squash your Bond because the equity returns are somewhat less reliable and more risky? Of course any combination of the two is definitely an option as well. Why not get the benefits of both by Investing some of the extra money into equities and putting the rest into the Bond? You could do a 50/50 split, or 60/40 (or if you plain weird a 24.63/75.37 split). I guess it all depends on your risk appetite and where you currently at in your life. Personally I am throwing most of my extra cash into equity investments because I am on a 15 year time frame, but having said that I am also putting some extra money into my Bond. You could get the best of both worlds by allocating some money to investing and some towards your bond. (For some slightly different examples and assumptions answering the same question you may be interested in checking out this Maya on Money Article). The above scenarios used an interest rate of 10.5%. The scenarios also assumed equities would return 15.28%. This difference between the equity returns and the interest rate is what makes the investment into equity option come out on top in both scenarios. An important consideration is therefore the current interest rate. If this rate goes up then it certainly starts bending my preference back towards the guaranteed returns of the Bond. And likewise if the interest rate drops then the equity investment scenario becomes even more favourable. So it is important not to get too fixated one method and completely forget about the other. Be prepared to be flexible and adapt as the economic climate changes. And always remember that the Bond returns are Tax Free! However now that we have TFSA's your investment could also be Tax Free (yay the Goverment - not often we get to say that!) In the scenario's above I did not factor in any Tax implications of selling the investment at the end of the 20 year period. If you did not invest the extra funds into a TFSA and you were to sell, you could incur a capital gains tax (keeping in mind there would be tax implications for the selling of both Option A and Option B). For me this is not too much of an issue since I am planning on maxing out both my wife and my TFSA allocations, and we don't plan on selling any investments outright, but rather living off them using the 4% Rule. Return Guaranteed inflation beating return (provided interest rate stays above inflation) With the additional risk taken you can expect better returns. Can be inflation beating and over longer periods returns could be better than your home loan interest rate. The dilemma of paying off your bond versus investing is actually a really nice problem to have! I am sure there are many people out there who have been faced with this same decision of whether to put extra money into your bond, or invest it. I would love to hear about your thinking and eventual decision, and how it worked out/is working out for you? 1 My dad (that's Stealthy Senior to you) always used to say, if you cannot afford to put an extra 10% into your bond every month then the house you are buying is too expensive - what happens if you are on the edge and the interest rates suddenly go up 3%? You could end up having your house repossessed. Some solid advice!